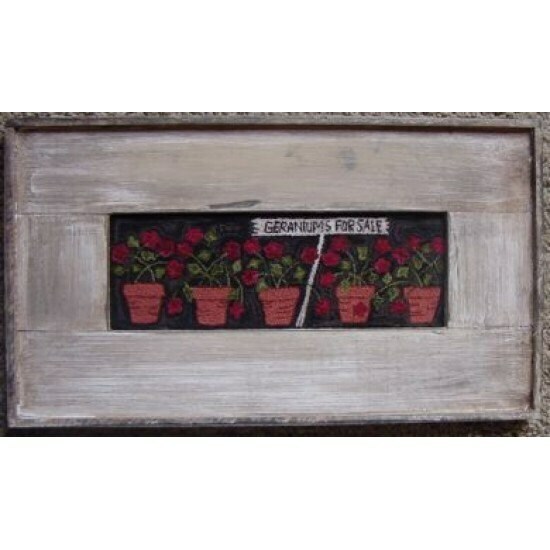 Punch Needle pattern called "Geraniums for Sale" created by Primitive Gatherings. This pattern comes with the designed stamped on the weavers cloth, it measures 3 3/4"x 11". 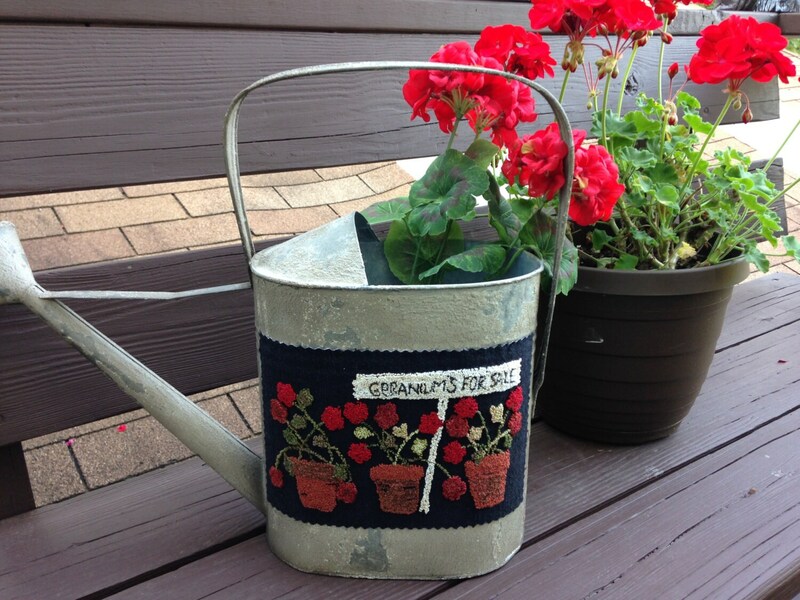 Makes up so sweet on an old watering can too!! (Pattern in photo has been adapted to fit can).